However, it seemed the more makeup I bought the more makeover requests I received, and the more I received the more I realized my craft served a greater purpose. That makeup was a tool and if used properly, had the power to enhance one’s beauty, confidence and self-worth. So in 2014 I traveled to NYC to train at Make Up For Ever Academy and that sparked my training with celebrity makeup artists, Scott Barnes and Tamanna Roashan (IG: DressYourFace). Since then my interest has grown. I studied studio photography at Newspace Center for Photography in Portland and now offer clients beauty and boudoir photo sessions. 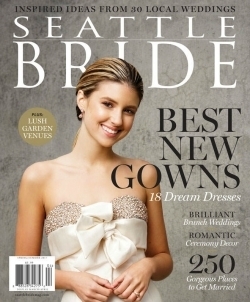 My work as a makeup artist was featured in Rolling Out Magazine's online journal in 2015 and more recently published in the 2017 Spring/Summer edition of Seattle Bride Magazine.